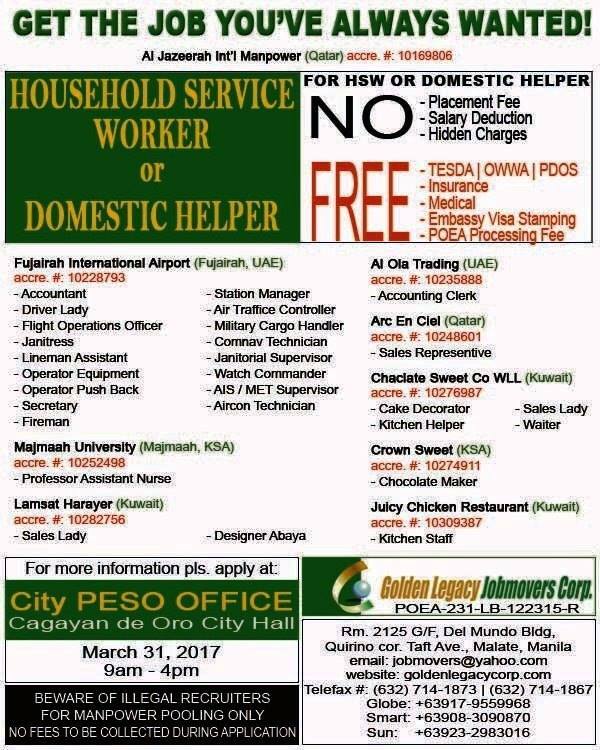 CDO one day event JOBFAIR this coming Friday, March 31,2017 from 9:00am to 4:00pm at PESO Office Cagayan de Oro City Hall. 3. and if you have Employment Certificates, License and Passport. Please bring original and photocopy of your documents. GET THE JOB YOU'VE ALWAYS WANTED!